Our 4 hour Healthcare Provider class will teach you how to properly assess your patient and perform the proper life saving skills. rescue breathing, choking for the conscious and unconscious adult, child and infant, ambu bag and AED. 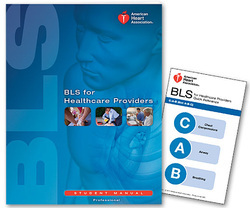 This course is an ideal option for the healthcare providers seeking an alternative to traditional all day classroom training. Payments are taken at the beginning of class. 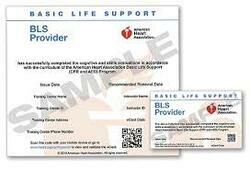 Receive your BLS certification that day! ​On-Line Book when you attend our class. If you would like to also have a physical book you may purchase one at the class for $20.